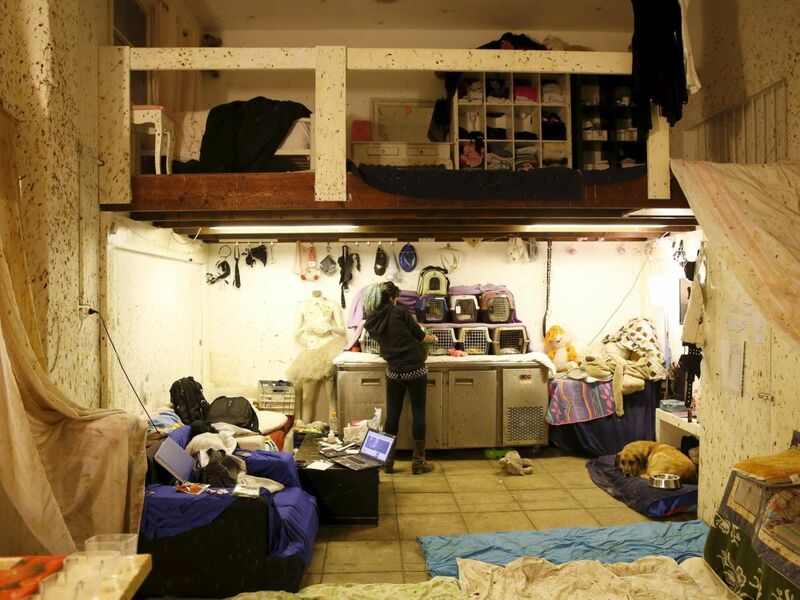 Animal rights activist Nora Lipschitz takes care of them herself, and lately has been trying to establish a permanent shelter, successfully fundraising $15,300 online. 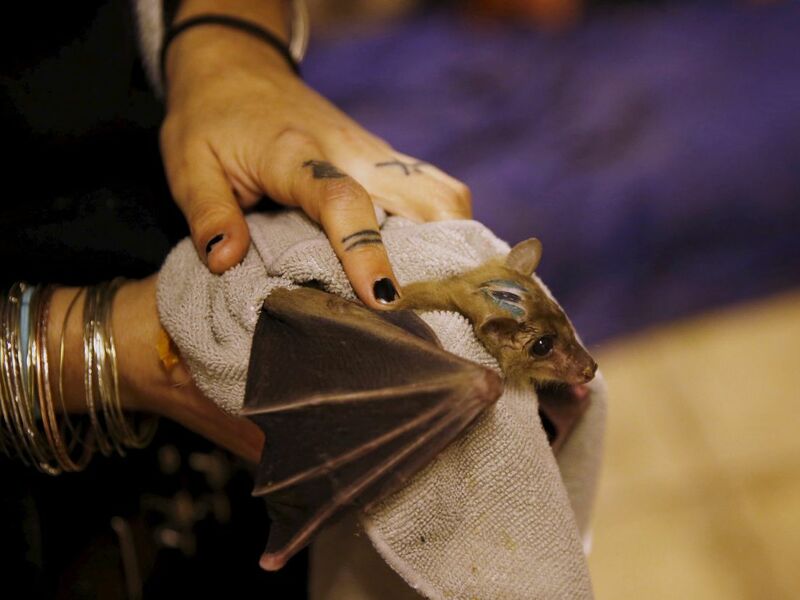 In a small apartment in south Tel Aviv, Nora Lipschitz pulled out of a cloth-covered cage a delicate fruit bat that is unable to fly and is named Uzi. The animal is held gingerly in her shirt as she discusses the long medical rehabilitation Uzi underwent until its life was saved. Afterward, she returns it to its temporary shelter, which houses dozens of other bats. Lipschitz is an animal rights activist who started becoming aware of the dire circumstances of injured fruit bats and their offspring, who were found abandoned, some years ago. She takes care of them herself, and lately has been trying to establish a permanent shelter, successfully fundraising 60,000 shekels ($15,300) on Israeli crowdsourcing site Headstart. There is only one variety of fruit bat in Israel. In contrast to insect-eating bats, the fruit bat is not a protected species. Therefore it does not win the same treatment as protected species, such as getting treatment in places like the wild animal hospital at the Ramat Gan Safari. The fruit bat is found in agricultural areas, but also in urban regions. There are sites inhabited by hundreds of animals that are actively mainly at night. In some of these areas live residents who oppose the presence of the flying mammals because of the huge mess they leave behind with their droppings on the walls. More than once they have brought in exterminators who drive away animals from the place. Agriculture Ministry officials remarked this week that the fruit bat causes damage to lychee and date orchards, but the extent is less than in past. There is a trend to reduce as much as possible the use of fatal means to drive them away from fruit orchards. New tactics include covering trees with nets that keep out creatures. 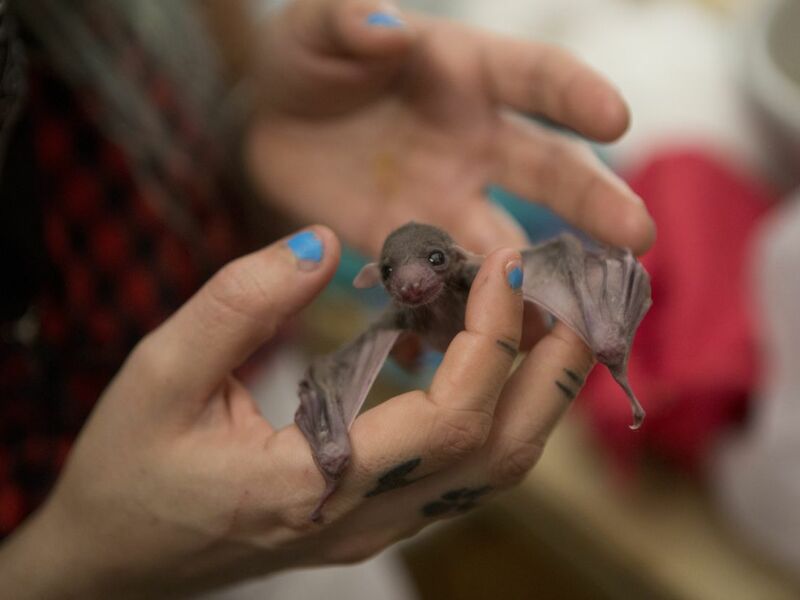 Lipschitz started receiving help from volunteer veterinarians to treat the injured or abandoned bats, and the rumors about her work traveled by word of mouth. That is how the number of bats arriving at the sanctuary began to grow in stages. If you look from up close at the refined and curious face of the fruit bat, you can understand what she means. Some of the bats that received Lipschitz’s care recovered and were released. One fruit bat she released was especially attached to her. It makes sure to show up once in a while near the shelter. 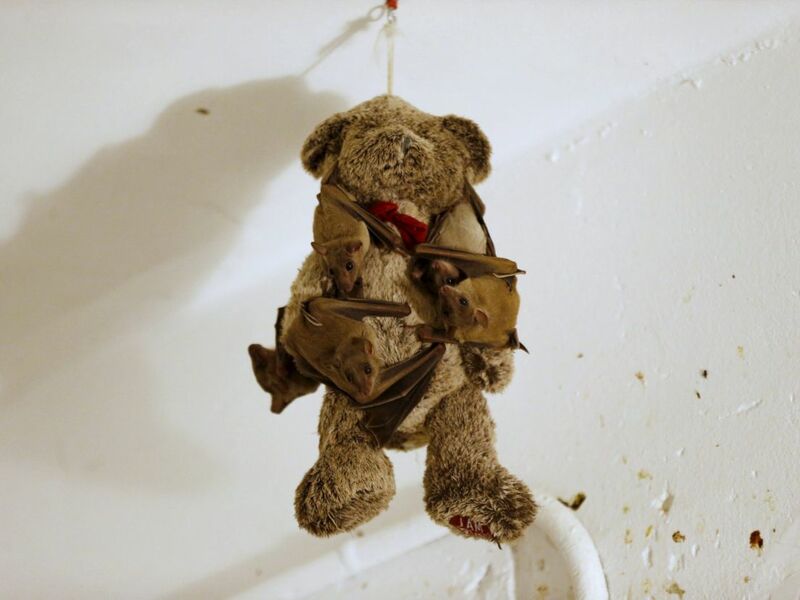 Some of the bats suffered from serious injuries and lost their ability to fly. Lipschitz needs to supply them with daily, hefty amounts of fresh fruits. One scientist from the research lab gave her baby bats that were supposed to be used for experiments. According to the Council for Animal Experimentation, 715 experiments on bats were conducted in 2014. 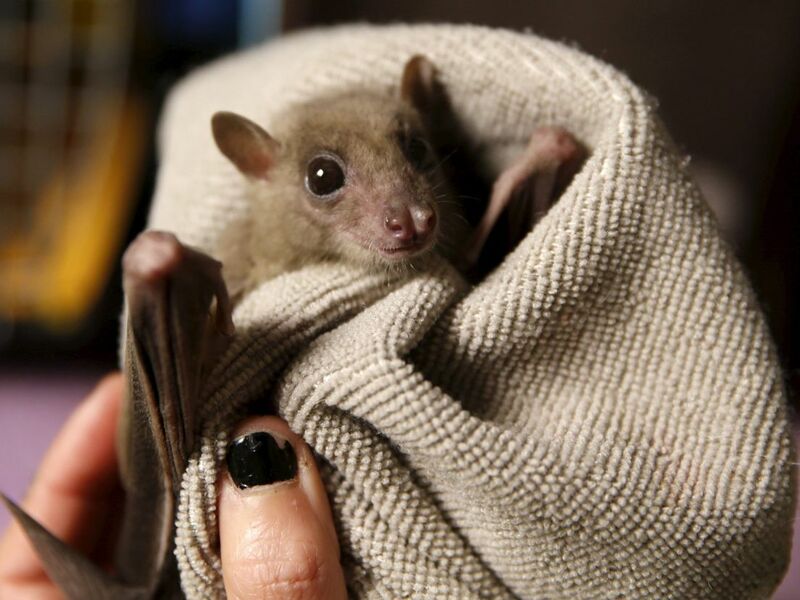 Lipschitz is in constant contact with a shelter for bats of different varieties that operates in the United States and is helped by volunteers to provide ongoing care to animals. She hopes to establish the new shelter in one of the moshavim in central Israel. She will need financial assistance not only to open it but also to pay for the expensive maintenance costs that include providing fresh food. 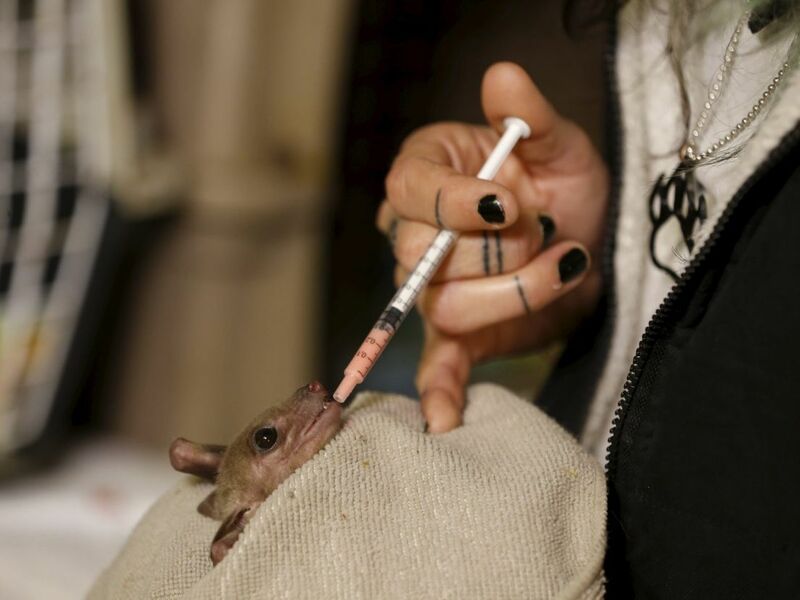 She hopes that the bats will be able to receive regular medical treatment in the new place, which will make it possible to maintain up to 200 of the creatures.